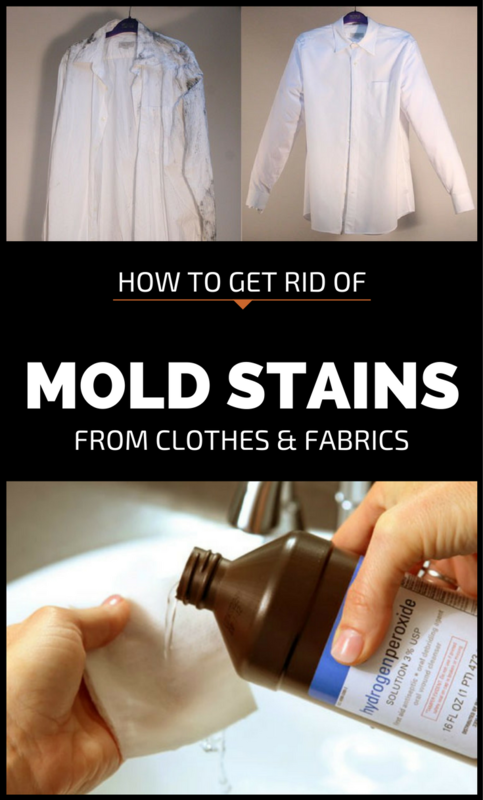 Mold stains appear because of moisture and are very easy to identify. Recent mold stains are light gray, and old mold stains are dark gray, sometimes black. – apply a solution made of 100 ml of hydrogen peroxide and 20 ml of ammonia on the stain and leave it to act for 5 minutes, then rinse it with plenty of water. – put 200 ml of ammonia directly on the stain and let it act for 15 minutes, then wash the laundry with water and detergent. – dab slowly 2-3 times the mold stains with a piece of cotton wool moistened in turpentine. Wash the clothing item with special detergent for wool and silk. – wash the fabric with detergent, then let it to soak for 30 minutes in a diluted solution with 5% formic acid (500 ml). Rinse it with plenty of water.